All-inclusive holidays may be more expensive than the alternative, according to new Post Office research. Post Office, which provides a foreign money exchange service, says that the three-in-ten holidaymakers who choose all-inclusive packages could be adding hundreds of pounds to their trip. It also suggests that extra spending has hit a record eight-year high. There are several reasons why holidaymakers opt for all-inclusive packages according to the findings, with the most popular being the reduction in cost for kids’ meals and drinks. Others prefer not having to take holiday spending money, but it appears that an average of £431 extra is spent in the hotel and locality, between 14 and 21 per cent of the overall cost of the break. More than 80 per cent of families forked out additional money for meals and drinks, with a quarter of those surveyed saying that they were fed up of the lack of choice on offer, much of which was buffet food. This led to an average of £67 spent on a la carte meals in their hotel or £81 on local restaurants in European resorts and £62 and £91 respectively outside of the continent. Post Office compared the price of a weeks’ all-inclusive break in ten European destinations with the Bed & Breakfast alternative and found that the latter was far cheaper overall at nine of them. The only exception was Majorca, where all-inclusive would save a family around £202. 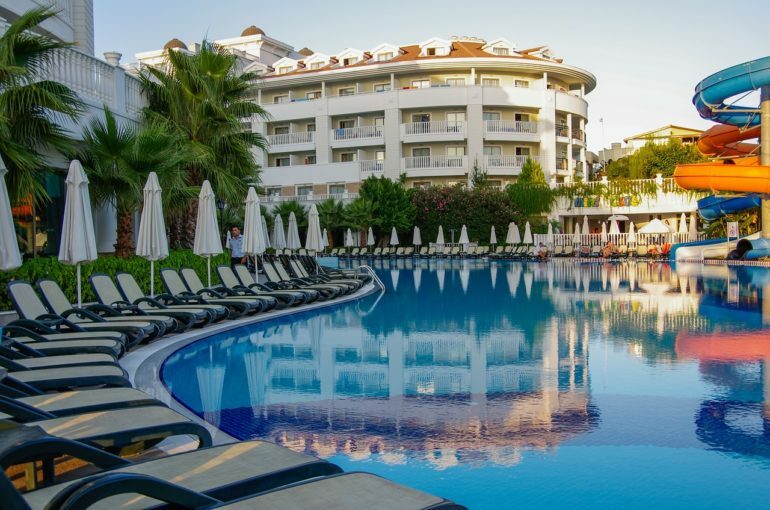 The biggest saving for B&B holidaymakers in Europe was found to be Turkey, saving a family of four a whopping £1,208 over the all-inclusive options. Even the family-friendly Costa del Sol and Algarve resorts bring in B&B savings of £453 and £595 respectively. Unsurprisingly, three-quarters of families polled said they were not happy with at least one aspect of their trip, with poor or expensive WiFi the biggest gripe. Only one per cent said they will go again. Andrew Brown of Post Office Travel Money said: “Even though the majority of holidaymakers choosing all-inclusive packages do so because they can be a great way to control spending on meals and drinks, the truth is that most people spend hundreds of extra pounds once they arrive in their all-inclusive resort. “This year’s report found that the numbers splashing out on extras has risen for the eighth year running and while this may reflect a growing acceptance that all-inclusive has its limits, the extra costs continue to catch people out. One-in-ten of the holidaymakers we spoke to expressed surprise at the prices they were charged for extras in their all-inclusive hotel. “If you are going all-inclusive this year, do your homework and find out as exactly what is and what isn’t included as soon as you arrive in your resort. Avoid falling into financial pitfalls like charges made for drinks late at night and limited periods when ice creams are free. Learn the rules of your resort and save yourself cash. Still Not Booked that Summer Getaway?